Adapted from Llewelyn R. McKay, Home Memories of President David O. McKay (1956), 162–63. 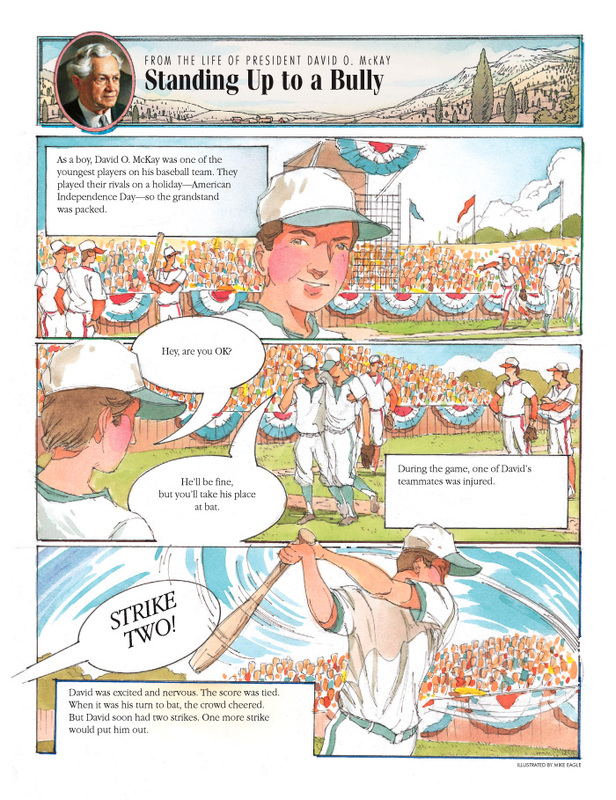 As a boy, David O. McKay was one of the youngest players on his baseball team. They played their rivals on a holiday—American Independence Day—so the grandstand was packed. During the game, one of David’s teammates was injured. David: Hey, are you OK? Coach: He’ll be fine, but you’ll take his place at bat. David was excited and nervous. The score was tied. When it was his turn to bat, the crowd cheered. But David soon had two strikes. One more strike would put him out. The pitcher stormed toward David and picked up a baseball bat. Pitcher: That was strike three. Get out of here, kid, or I’ll hurt you! The field went silent. David stayed calm. David: The umpire called only two strikes. Go back to your pitcher’s mound and try to get me out; you still have one more chance! 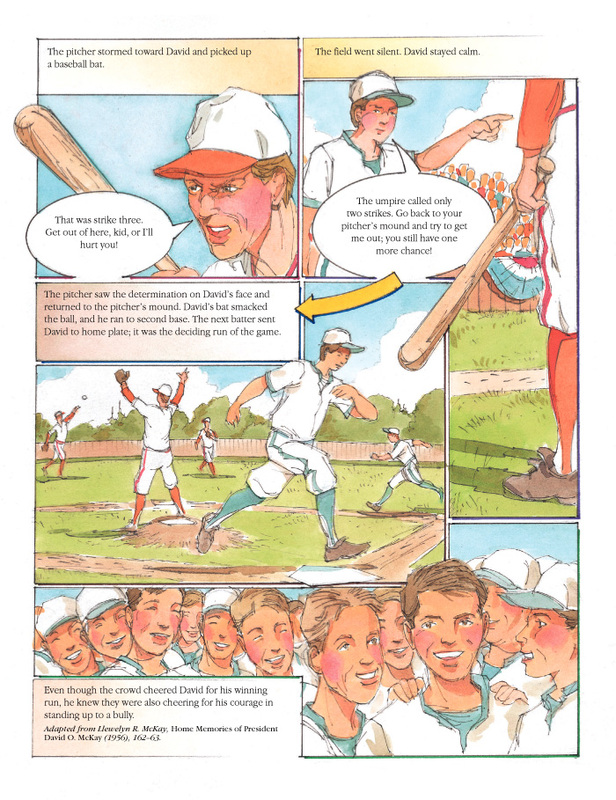 The pitcher saw the determination on David’s face and returned to the pitcher’s mound. David’s bat smacked the ball, and he ran to second base. The next batter sent David to home plate; it was the deciding run of the game. Even though the crowd cheered David for his winning run, he knew they were also cheering for his courage in standing up to a bully.